​Life is about the journey not the destination. 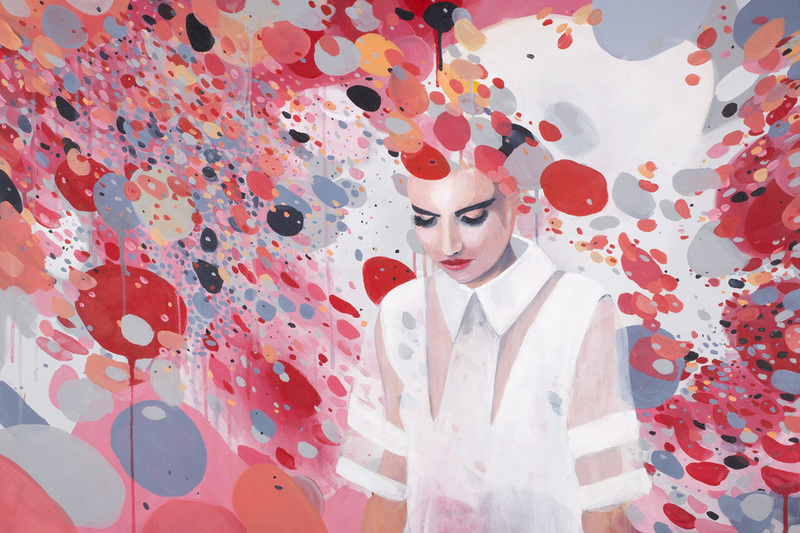 Shannon O'Neill’s latest collection of paintings are a reflection of her life. Putting paint to canvas, her latest body of work encapsulates life’s highs and lows, capturing the beauty from the chaos that Shannon calls life. Shannon has always questioned the meaning of life. After spending the last 15 years working as a web /graphic designer, living and travelling overseas and becoming a mother, she has come to the realisation that the meaning of life 'is life itself.' This has inspired her latest collection of paintings, drawing from life’s experiences. The paintings are made up of many layers, patterns and colours, which come together to create a cohesive collection of paintings using acrylic on canvas. Her work combines the fluidity of abstraction and pattern with the opposing nature of more structured forms. Her background in design informs her strong compositions, but her expressive artistic side looks for chaos and the two come together in harmony. The mother of two pre-school children, juggles raising them with her husband James, working as a designer, creating her art prints and other artworks for markets, with creating larger more personal work. Working at night from her home based studio is a necessary break from everything else.